Recently featured on the Children’s Support League’s Heart of the Home Tour, this Oakland home was landscaped with a nod to the French countryside, and designed to serve the needs of a growing Bay Area family. 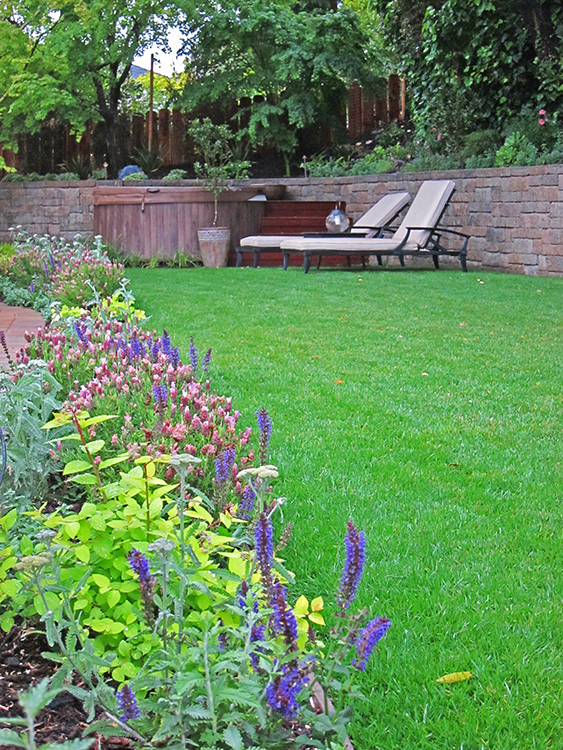 Jarvis Architect and landscape designer Cindy Chan used deer-resistant, drought-tolerant, and edible plants to create an efficient and ecologically-minded space where parents and children alike can enjoy the splendor of the outdoors. 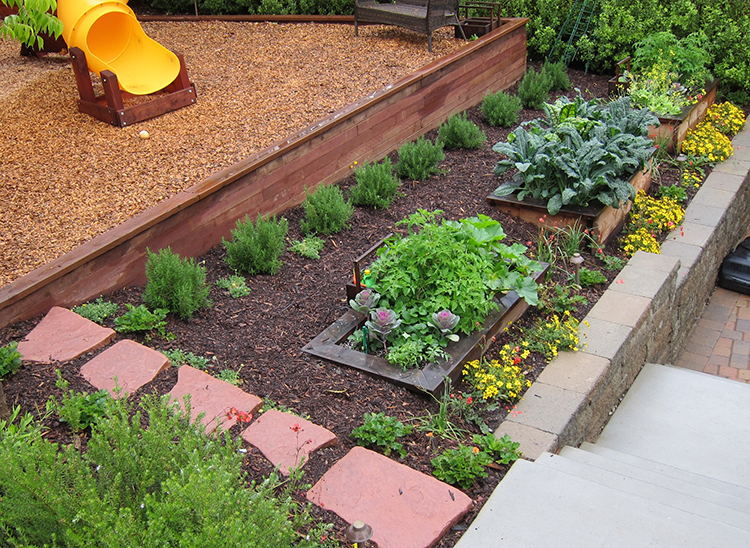 The back yard, designed with the family’s three young kids in mind, is host to a large lawn and play structure, and edged by a vegetable garden of edible greenery. An outdoor kitchen and gas operated fire pit provide leisure-seekers with the full accoutrement to entertain, whilst an outdoor spa provides moments of pause and relaxation. Purple and pink flowers pepper the lawn’s periphery. The front yard presents a contemplative counterpoint the boisterous play and activity of the backyard. 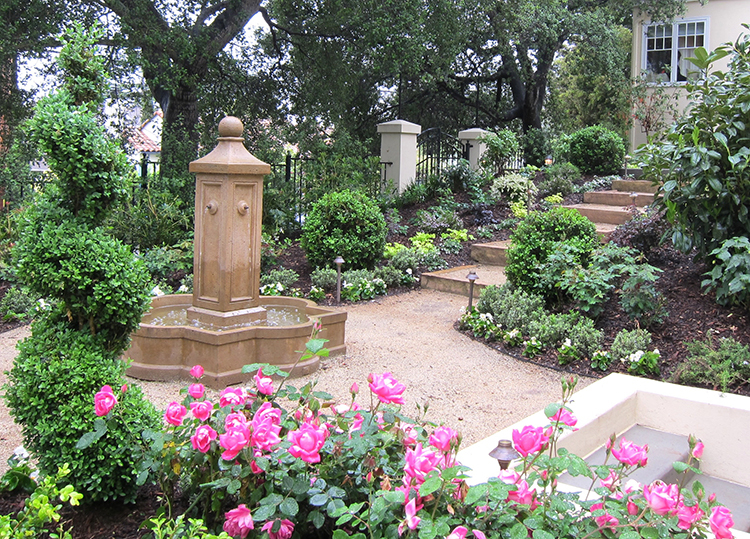 A custom metal railing fence encapsulates lush greenery, and rustic gravel pathways draw the yard dweller in to focal points such as a quatrefoil fountain and a sitting area surrounded by boxwood hedge and trellis. 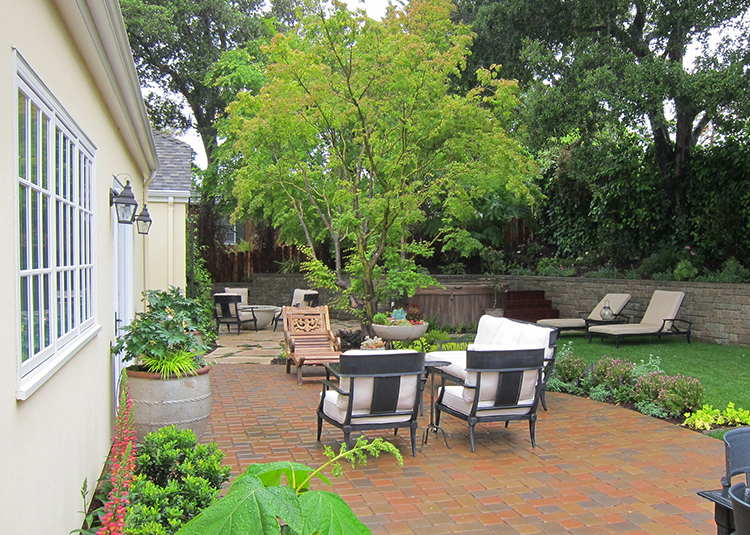 Mature Oak and Pine trees shelter the elevated patio from the street, both visually and acoustically. 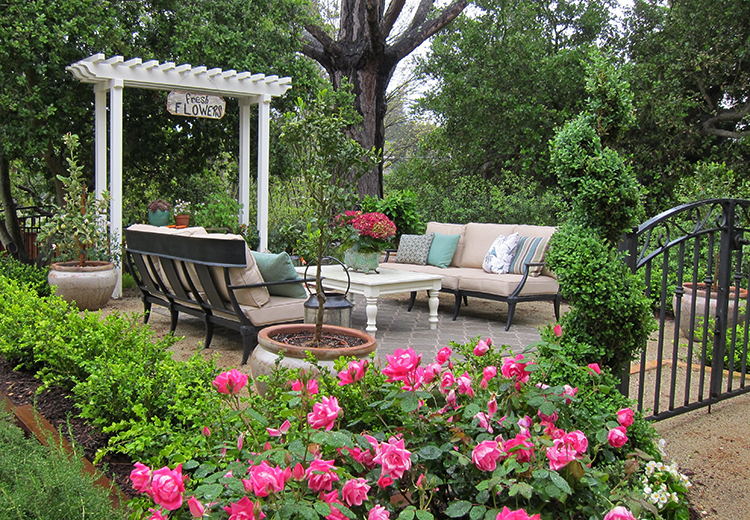 Climbing roses add a dash of pink, elevating the romantic tone of the yard.